Belts were the hero accessory in Altuzarra's Spring '19 show - they cinched everything from high-rise skirts to jackets. 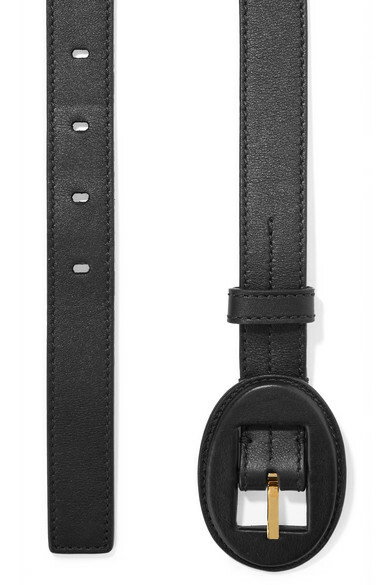 Part of the collection, this 'Arianna' version is made from supple black leather and centered with an oval buckle. Take styling cues from the runway and wear yours over a summer dress. Shown here with: Altuzarra Dress, Alighieri Necklace, Pernille Lauridsen Earrings, Monica Vinader Cuff, Isabel Marant Rings, Sophie Buhai Cuff, Alighieri Necklace, Ejing Zhang earrings.